The deadliest form of human malaria is primarily caused by the protozoan parasite Plasmodium falciparum. These parasites establish pathogenicity in the human host with a very low number of sexual forms or gametocytes, which are transmitted to the mosquitoes. Several studies have reported that exposing artemisinin-sensitive P. falciparum rings to a low concentration of dihydroartemisinin (DHA) results in dormancy, and the artemisinin-induced dormant (AID) forms are recovered into normal growth stages after 5–20 days. 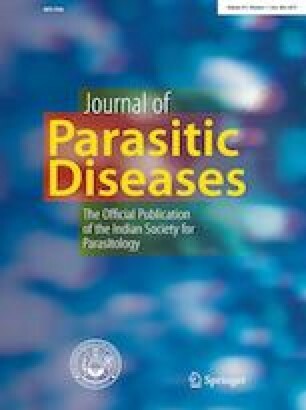 In this study, artemisinin-resistant P. falciparum parasites were tested for the development of AID forms and their recovery. Interestingly, it was found that exposure of an asynchronous culture of artemisinin-resistant P. falciparum IPC 5202 to DHA, a line carrying a mutation in the PfK13 gene that is linked to artemisinin resistance, also results in dormancy. Both the ring and some late stages of these AID forms recovered after 10–15 days. Furthermore, a high proportion of the recovered dormant forms developed into sexual forms or gametocytes after 3–4 weeks, which is almost a 7–8 times higher rate of conversion of asexual to sexual forms (gametocytes) or the malaria transmissible forms. In contrast, only early ring forms of artemisinin-sensitive parasites recovered slowly, and additional exposure of these parasites to artemisinin resulted in complete clearance within a week. This is in contrast to the resistant parasites exposed to a second dose of artemisinin, which resulted in a very high rate of dormancy and recovery into sexual forms or gametocytes. The following reagents were obtained through the BEI Resources Repository, NIAID, NIH: Plasmodium falciparum, Strain Pf NF54 and Pf IPC5202 were contributed by MG Dowler and Didier Ménard, respectively. TR conceived and devised the study, designed and performed all experiments for the implementation of the research, collected data and analyzed results, made interpretations, collected references, wrote the manuscript, read and submitted the manuscript. The research study was conducted as per the National Institutes of Health (NIH), USA guidelines on using blood and blood borne pathogens. This study was conducted in a Bio Safety Level (BSL2) facility approved by the institution. Animals were not used in this study. Human subjects were not involved in this study. Not applicable. Human subjects did not participate or were not involved in this study. The blood and serum samples used in this study were obtained from Interstate Blood Bank (Interstate Blood Bank, Inc. Memphis, TN Center).